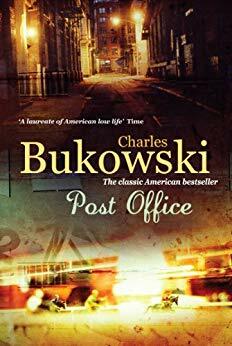 My review of Post Office: A Novel by Charles Bukowski. In the author’s own unique style, he writes what is a semi-autobiographical account based on his own experiences working at mundane jobs with the United States Post Office. What I found most remarkable about this short novel (162 pages) is how enjoyable the author made me feel about such an apparent mundane, ordinary world. I say “enjoyable” because it was a joy to read. I could sense the pain behind the pen. The pain was often camouflaged with hilarity, his sexual mores, heavy drinking and ventures to the racetrack. There was, it seemed, a quiet rage taking place in this author’s soul. The “mundane” was the Post Office setting. Not many, I wager, could write such a compelling book in that kind of setting. It is an account of a so-called loser, dwelling in the lower reaches of American society in the 1960’s. Parts of the story are brutal as the main character Henry Chinaski lurches from one bad place to another. Yet, it is also tender perhaps best illustrated by the ‘second-time-around’ relationship with Betty. He notices how she has aged and realizes he has too. I found his attitude to the pettiness of the Post Office bureaucracy hilarious both in the excellent dialogue exchanges between him and his “soups” (supervisors), and the replication of some mindless, legalese warning letters issued to him by the Post Office. It reminded me of my own “real life” when dealing with similar government institutions. This is a unique book written in a unique style. There is also a further unique aspect. In this UK Virgin Digital edition there is an excellent foreword by Niall Griffiths. I don’t think I have ever been entertained as much by a foreword.